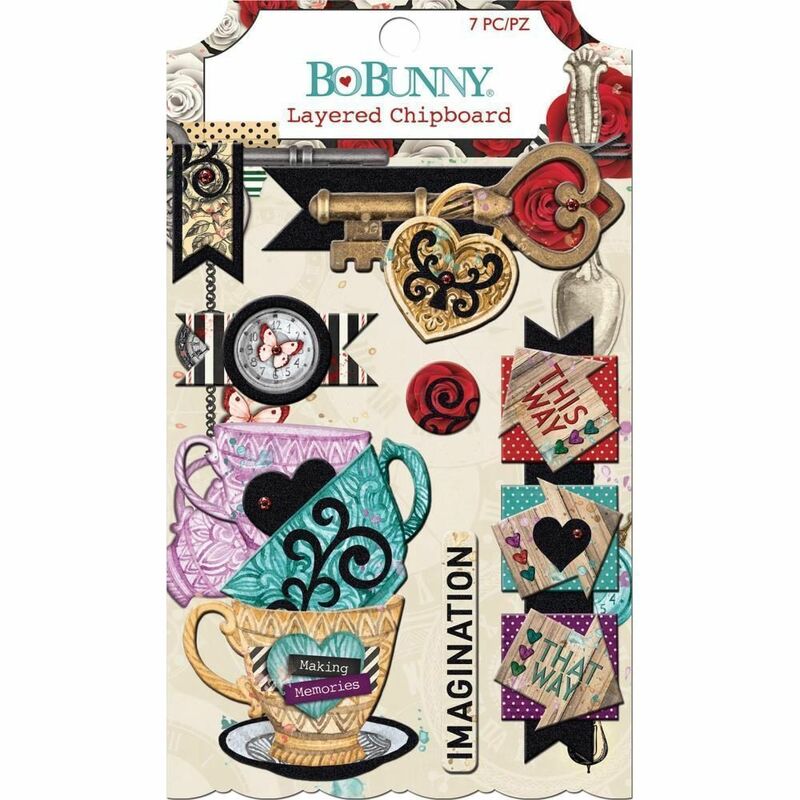 This package contains (6) Pieces of 3D Layered Chipboard. Part of the Land of Wonder Collection by BoBunny Press. Look for coordinating Embellishments & selected Designer Papers.